The President has gone missing, and America is holding a special election to replace him But who has the charisma, sexiness, and compassion to lead the free world? 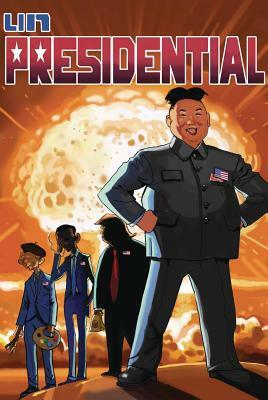 Kim Jong Un, the fascist dictator of North Korea, of course A hilarious satire of American culture, Un-Presidential focuses on the journey of the Un-likeliest candidate of all in his quest to save democracy. author bio: Victor and Kevin are a comedy writing team based out of San Diego. When they aren't getting punched in the face by angry dictators, they're at your local comic book convention introducing folks to their latest Ponzi scheme.